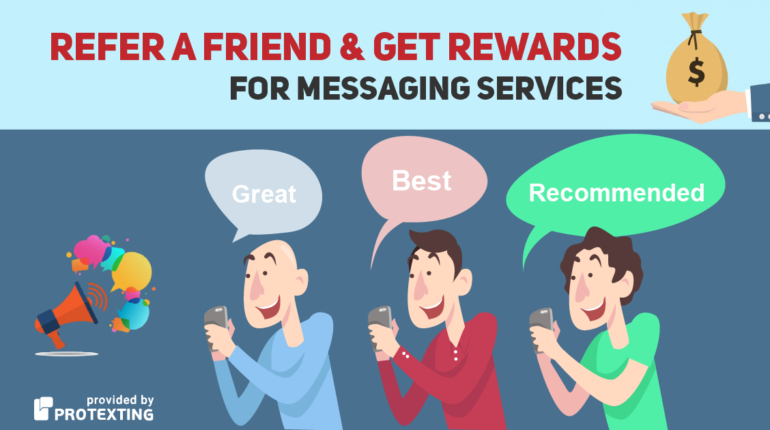 Friend Referral Program is a sure way to boost business! In the past few days, we talked about ways some people referred people, businesses and organizations to ProTexting.com. It is important to keep in mind that SMS is the most cost effective marketing tool that can be used by a business or organization today. There are two major reasons why a mobile marketing platform is a powerful tool. First, texting is a sure way to break through the clutter. It is a way to communicate quickly and reach your audience when all other methods are too slow or not eliciting a response. Second, you can measure the effectiveness of every campaign because the results are transparent. Clients and customers are receiving your messages because they want to hear from you. They want to be part of your community. It is immediately apparent if your clients, customers and community members are responding to your marketing messages. So if you know if business or organization that could use a boost in the way they communicate to their customers or to their community, then refer them to ProTexting.com. The ProTexting Referral Program—“Refer Friends” and get rewards. The program is very simple and straightforward. If you login to your ProTexting account and click on “Refer Friends, Get rewards” then follow the flow to receive a thank you gift of free credits from us. It only takes a couple of clicks. So take a few minutes to login to your account. You will see the “Refer a Friend” link on the upper right hand corner of your account that takes you to the referral page where you can send an invite to all of your friends. We are interested in learning your stories. 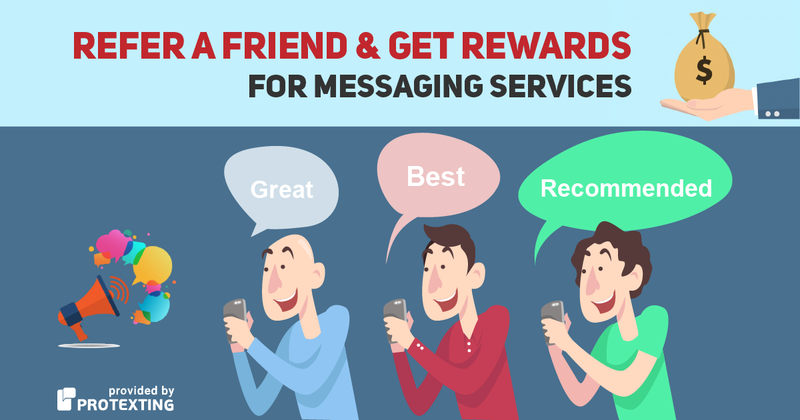 Tell us about the different ways you are using SMS: group texting, mobile couponing or mobile surveys. When we hear from you we are able to learn how we can best serve your needs. –Kalin J.